For our final Summer in the City event, join us in downtown Burbank as we learn more about your favorite Scandinavian home goods retailer and their decision to stay in Burbank and build a new 456,000 square foot store. We will be learning more about the project entitlement and environmental review process, and how the landscape in this area of the city has changed since the project was first proposed – new streets, new development, new opportunities.Then we will turn our attention to the existing IKEA site. When the new IKEA store opens next spring, and leaves behind its old space in the Burbank Town Center, dramatic changes are proposed for the area. Over 750 multi-family units are proposed for the former IKEA site and an additional 70 for-sale units are proposed nearby. Additionally, the overhauled property would have an open-air plaza, 40,000 square feet for “fresh retail tenants,” and open space for outdoor recreation opportunities, dining, and farmers markets. 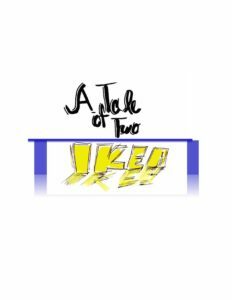 At the conclusion of our walking and transit tour of the site IKEA locations, we will head to Story Tavern in the heart of DowntownBurbank for food, drinks, and an opportunity to network with colleagues. CM Credit for this evening is pending. Additional information on speakers coming soon!